The purchase is good news because it’s a vote of confidence in the continuing relevance of metropolitan newspapers. Adelson is one of the country’s wealthiest and most powerful business tycoons, with a net worth estimated at more than $20 billion. 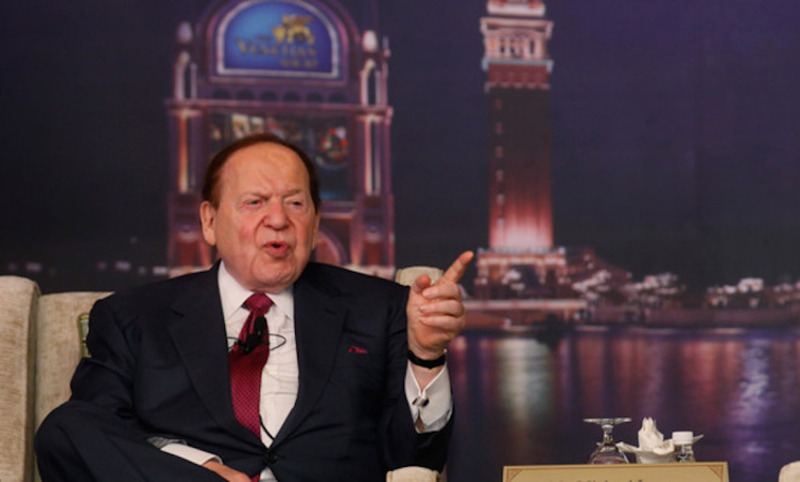 He is such an important Republican funder that presidential candidates half-jokingly refer to their bids for his support as the “Adelson primary.” Adelson is also hugely influential in Israel, where he owns newspapers and is close to the prime minister, and in China, given his casino company’s dominant presence in Macau. The fact that Adelson (his sons, technically) deemed their hometown paper a coveted trophy (they paid an inflated $140 million for it) is a sign that newspapers may be making a comeback, at least as billionaire status symbols. Ten years ago when I worked at the Los Angeles Times we practically begged deep-pocketed Angelenos to make an offer for the paper, but to little avail. Business tycoons, like the rest of us mortals, are susceptible to trends and fads, and when someone like Adelson considers newspapers as desirable a commodity as sports franchises or yachts, other prospective buyers tend to follow. Indeed, Jeff Bezos’ 2013 purchase of the Washington Post may have done more than anything in a long time to make newspaper ownership cool again. And that’s what this industry needs—billionaires eager to rescue newspapers for their cool factor. Certainly no one has been rushing to buy them these days for their profitability. The bad news, of course, is that Adelson’s injection of resources into the newspaper will likely come at the expense of its independence. Why, after all, does he really want to control the paper? You now have the wealthiest tycoon in the city’s leading industry controlling its largest news outlet. Adelson no doubt believes he is providing a civic good by ensuring the viability of the newspaper’s future, but he also has a strong agenda when it comes to litigation and regulatory issues affecting his casino empire, and how they are covered in the press. Even if Adelson turns out to be a more benign owner than liberal critics are assuming he will be, it’s safe to assume that the Review-Journal will not be known in coming years for its aggressive reporting on the casino industry or on Adelson’s business dealings in Macau. Debates about media ownership, about who controls the printing presses and airwaves, have long been an impassioned subject in this country, and for good reason. By the same token, while Bezos’ purchase of the Washington Post provided a needed boost in resources to one of the nation’s most important newspapers, it’s safe to assume that the Post won’t be taking the lead in covering how Amazon is altering the retail landscape and influencing legislation in various jurisdictions. But at least Bezos isn’t a Washington insider, giving his journalists a great deal more autonomy than their counterparts in Las Vegas are likely to enjoy. Debates about media ownership, about who controls the printing presses and airwaves, have long been an impassioned subject in this country, and for good reason. The First Amendment doesn’t allow the government to directly control who can or can’t own newspapers, but Washington has for decades imposed media ownership limits via its power to award licenses to run TV and radio news broadcasters. The somewhat antiquated media ownership rules, and the public debates around them, blindly champion the ideal of so-called localism, of preferring media owners embedded in the communities they cover. Adelson’s ownership of the Review-Journal suggests the potential downsides to local ownership of media. So does history: It was the local ownership of many TV stations in the deep South that blocked national network coverage of the civil rights movement a half-century ago. At the same time, the critically-acclaimed movie Spotlight offers a veiled homage to the underappreciated advantages to out-of-town ownership. The movie, about the Boston Globe’s inquiry into the epidemic of Catholic priests abusing minors and its cover-up by the church, barely alludes to the fact that the newspaper was at the time owned by the The New York Times. Much of Spotlight’s dramatic tension revolves around the journalists’ willingness to stand up to, and upset, powerful local interests, but little is made of the fact that their institutional employer was insulated from such pressure by the fact that its owner wasn’t local. Having worked at four different newspapers, I know there are always trade-offs when it comes to who owns media, and that the character of owners isn’t solely determined by whether they are local or out of town, individual or corporate. It is hard to come by truly judicious and independent owners who can act as truly neutral community arbiters. The profile of the ideal media owner, from a public interest standpoint, is an individual or family with deep roots in a community that is focused primarily, if not exclusively, on the news business, and won’t compromise that journalistic integrity to advance other business interests. Think of the Sulzbergers of New York or the Grahams of Washington. Problem is, such owners are becoming an endangered species, given the challenges to the traditional newspaper business model. Many 20th-century newspaper-owning families were admirably principled and civic-minded, but it’s also true that they were making big profits that shored up their independence. In its present crisis, the newspaper business needs more people like Bezos and Adelson to enter the fray, to subsidize newsgathering with fortunes made in other businesses. The hope is that such individuals will do so because they believe it’s a worthy philanthropic cause, or because they think they can re-engineer the business model over time to make decent returns on a once distressed asset. The worry, however, is that new owners will wade into the business not for those reasons, but to help their own pre-existing agendas. Which is why we should all keep an eye on what happens in Vegas. Contrary to Sin City’s marketing slogan, whatever happens there with the Review-Journal and its new owner is unlikely to stay there. It will help shape a national trend. *Photo courtesy of East Coast Gambler.